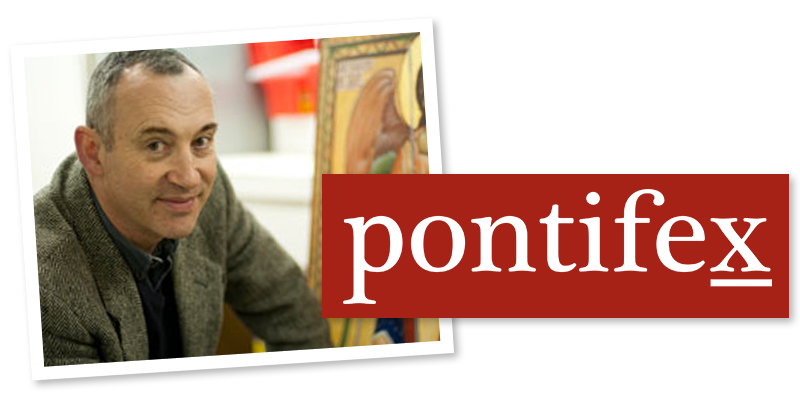 How what started as a budding artist’s quest for a formation in beauty and creativity became a manifesto for cultural renewal; and will now be available as a whole program of courses offered by www.Pontifex.University. It’s not just for artists. It's good for anyone looking for creativity and inspiration no matter what they do! I started to research the material for my book the Way of Beauty about 20 years ago in England, where I am from originally, when I decided I wanted to be an artist to serve the Church. Of course at that stage I didn’t know that it would end up as the material for a book. I was fed up with the art I saw appearing in the churches around me and decided I wanted to do something about it by becoming an artist myself. I was full of the zeal of the newly converted and was on a mission to change the world. The problem was how to get the necessary training. I knew that no existing art school would give me what I was looking for. I needed the traditional skills and although it was difficult to find people who still taught drawing and painting with rigor, it was just about possible. The real problem was knowing how to direct those skills once I had them. Two things were necessary for such a formation. First, was a Catholic inculturation, so that I understood how to recognize what it is that makes some forms instrinsically Catholic – the iconographic, the gothic or the baroque styles of art for example; and others instrinsically anti-Christian and anti-Catholic – cubism or abstract expressionism for example.Secondly, I needed a spiritual formation that would develop my sense of the beautiful, and would engender creativity and an openness to inspiration. No one I knew could tell me enough about either so I started to do my own research into both the traditional understanding of the basis of Catholic culture; and I how artists were trained. The Way of Beauty contains all the details about what characterizes Catholic art, Catholic culture and the spiritual formation that engenders those personal qualities needed in the creative forces behind such a culture. In short a formation in beauty. Although the formation that it describes is, as best as I could discern, the perfect program of Catholic orientation for an artist, I realized that it offered something that would be of interest to many more. Every artist understands the need for inspiration, but in fact I realised that what I had discovered was training in creativity that could be applied to any human pursuit. Man has free will and ultimately, he is free to reject or accept God’s inspiration, but his freedom is increased if he has a greater awareness of what direction that inspiration is guiding him. Furthermore if he follows that inspiration he will flourish in what he does all the more, for it will be in accord with what he is meant to do. This formation could be used, therefore, as a Catholic orientation for any other, more vocational formal education – engineering or science for example. Furthermore, could be general formation for people at all levels of interest, even if they are simply looking for personal enrichment. If I was going to argue that this formation should be part of everyone’s education, then I would have to know more about the traditional of understanding of the Church of the purpose of education, and what such a general education is comprised. So this set pattern for the next stage of my personal research and what became the first section of my book. My discovery was exciting. As I read the writings of the Church Fathers, and others such as Newman and the popes since Pius XI on what Catholic education ought to be I found out that this program of inculturation and formation in beauty had always been right at the heart of every Catholic education. It was just that barely anyone around seemed to know it (even amongst those who are serious about being true to the magisterium). Divine wisdom is the goal of education, imparted by supernatural means! The great Catholic artists were given this training in the past not so much because they artists, but rather because they were Catholics! 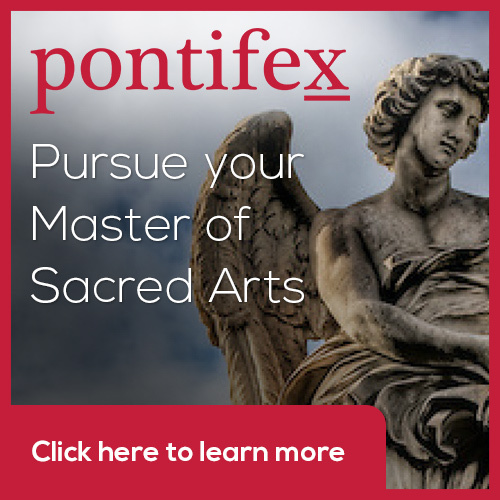 After the book came out, I was delighted to be invited to become Provost of www.Pontifex.University which is a new explicitly Catholic online education platform to recruit teachers and create a program of courses as described in the Way of Beauty as first program. I am so excited about this. Now, this traditional formation in beauty will be widely available as a series of courses for all levels – from Masters level through to those who want to audit for personal enrichment. We are at pilot stage right now, but plan to launch the first part of the program later this year.